Worcestershire Rapids which is also known as Worcestershire simply is one of the most popular and fearsome team in Royal London One Day Cup. In the ongoing season of 2018 Worcestershire is in very charming form. 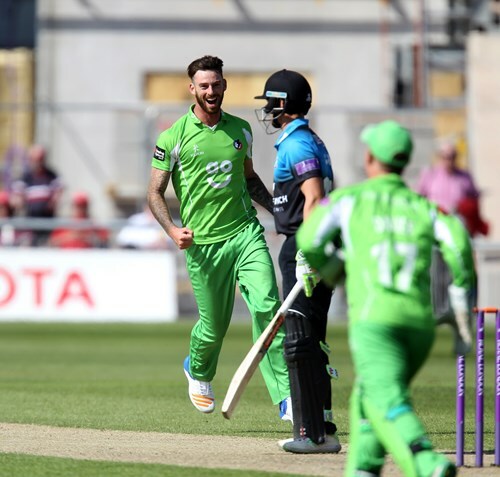 In their 4tf match of the tournament, Worcestershire won by 3 wickets against Lancashire. Till now, they have played total four matches in the tournament where won highest three times so far. On the other hand, team Lancashire has played total five matches where among them one ended with no result. Among rest four matches, they managed victory just once. As a result, Lancashire is placed on the last position on North group point table. And their last match opponent Worcestershire is holding the top position on the point table. The tournament Royal London One Day Cup is the first class competition and earlier the over per side was less than current. Later, it was increased to ODI format since few years. Besides, the tournament was known as ECB 40 earlier and later, the named was changed to current form. Total eighteen teams in two different groups used to take part here where North group and South group. Team Worcestershire and Lancashire are standing on the North group here. In 27th May, 2018 the match between Lancashire and Worcestershire took place at New Road, Worcester. It seems the venue was the home arena of Worcestershire. Worcestershire won the toss and decided to bowl first though most of the cases, toss winning team used to take bat. So, Lancashire started to bat with Keaton Jennings and Alex Davies. In 8 runs opener Keaton Jennings was gone with 5 runs so far. Later, after more than 40 runs 2nd wicket Alex Davies was gone as well. Karl Brown and Liam Livingstone played almost good for the team and Karl scored 48 runs and Liam Livingstone scored 67 runs so far. By losing 9 wickets team Lancashire scored 254 runs totally. Due to rain, the team played 48 overs. Brett D’Oliveira, Ed Barnard and Josh Tongue took two wickets for the team Worcestershire. Team Worcestershire came to chase the score with Joe and Moeen. In just 6 runs opener Joe was gone. Later, 40 runs 2nd wicket and 55 runs 3rd wicket of the team was gone. They used to lose wickets regularly and once it seemed that they were about to lose the match. In exchange for seven wickets team Worcestershire reached the destination where one of their player Daryl Mitchell made a century of 102 runs so far. In 47.5 overs team Worcestershire made the chase successful.